Spencer Pratt Credits His Crystals for the 'Hills' Reboot - celebrities life, news, blogs, photos, gossip etc. While most The Hills fans are thanking MTV for the reboot of the beloved series, Spencer Pratt is crediting something else! 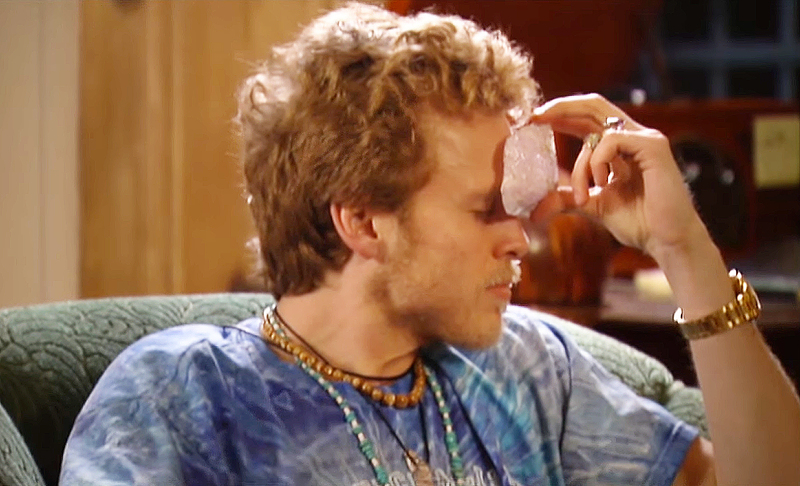 Pratt caught flack during the original series, which ran from 2006 to 2010, for using crystals as a therapeutic method while starring on the show with wife Heidi Montag. But since then, other celebrities have followed suit, a trend Pratt — who owns a massive collection and routinely shows them off on social media — is grateful for. The Hills followed the lives of Lauren Conrad, Montag, Audrina Patridge and Whitney Port, who were all in their twenties at the time and living in Los Angeles. MTV announced the reboot at the MTV Video Music Awards in September and most of the original cast — except Conrad, 32, Lo Bosworth and Kristin Cavallari — will be returning. The show, originally a spinoff of Laguna Beach: The Real Orange County, has been spotted filming around Los Angeles.